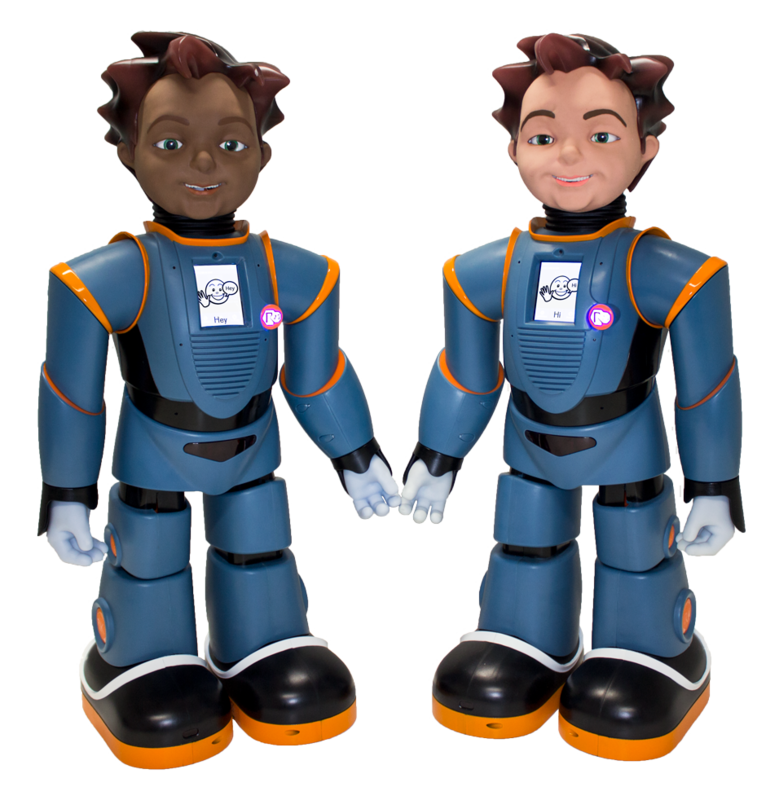 Therapists, educators, and para-professionals use Milo, Robots4Autism’s humanoid social robot, together with traditional intervention methods to help individuals with ASD reach their developmental goals. Innovative robot-generated instruction teaches social understanding and improves a learner’s ability to use social behaviors in natural contexts. The objectives of robot interventions include learning to pick up on emotions, express empathy, act more appropriately in social situations, self-motivate, and generalize in the population. The Robots4Autism curriculum is available for elementary and middle school. Robots4Autism is available on both the iOS App Store. Download the Robots4Autism Scope & Sequence. …a unique opportunity to interact with and learn from a social robot. …consistently delivered lessons and increased opportunities to practice social interaction in a safe environment. …unparalleled human-like expressions, gestural bodies, eye/face tracking and conversational artificial intelligence. …using the accompanying tablet software, watch video of real life social situations.